Earlier today, Steve Jobs, Apple’s CEO, took the stage at WWDC 2010 to announce the iPhone 4. After recapping details about the successful Apple iPad launch, Jobs began revealing details about the new phone. He describes the new model as “the biggest leap since the original iPhone,” which first hit stores in 2007. 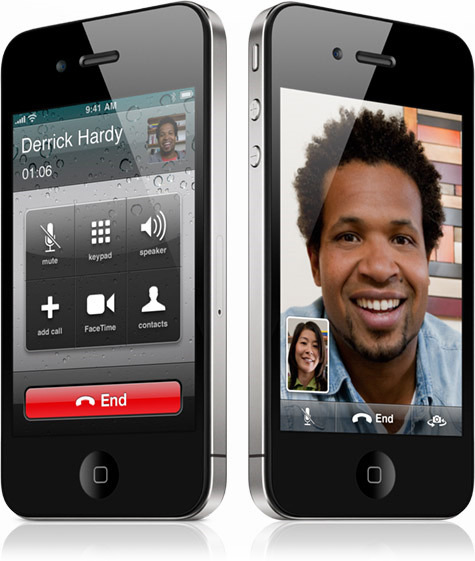 For starters, the iPhone 4 features FaceTime video calling, a high-resolution Retina Display, a 5 megapixel camera, 720p HD recording, an Apple A4 processor, improved battery life, an all-new thinner design, and over 100 other features. That’s right, Apple just renamed iPhone OS to iOS 4. Why? Probably because their mobile operating system isn’t just for the iPhone anymore. Re-branding makes sense because there’s the iPod Touch and more recently, the iPad. 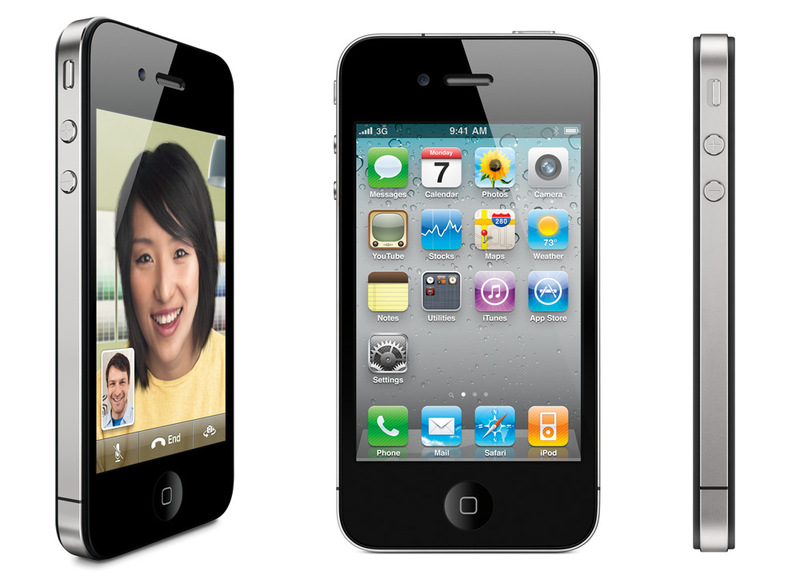 Although Apple announced iOS 4 details earlier this year in April, here’s a quick overview. The upgrade brings: Multitasking to offer instant switching between apps without harming battery life, Folders for better organizing the home screen, Wallpapers to add some more color, enhanced Mail with support for a unified inbox, improved Enterprise features, and many more. Apple even includes the new iAd mobile advertising platform, which will help advertisers better target customers, let consumers view quality/relevant ads, and offer a standardized system for developers looking to make profit. While the improvements are great for customers, none are as revolutionary as Google’s Froyo v2.2. Some may disagree. But don’t worry, people are still going to buy the iPhone 4. After the iPhone 4 leaks earlier this year, details about a front-facing camera were everywhere. The inclusion of some form of video chat was inevitable. Apple calls this feature FaceTime, which is rather odd name in my opinion. While the idea was exciting, it’s also severely limiting. Video calling doesn’t appear to work with Skype or even iChat for that matter. It’s strictly iPhone 4 to iPhone 4. FaceTime also requires WiFi presence, 3G isn’t supported at this time. (More AT&T issues?) 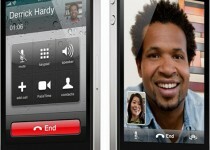 However, if those requirements are met, a FaceTime button appears when a call is in progress with another iPhone 4 user. No setup process or configuration necessary. The feature can access both the front and rear camera as well. It’s a neat start, but I’m hoping that Apple won’t restrict 3rd party developers with competing video conferencing technologies from the App Store. While the iPhone 4’s display doesn’t get any larger, the 3.5 inch screen now packs 960 x 640 IPS pixels, which is four times the pixel density of the iPhone 3GS. As a result, the increased 326 ppi makes individual pixels unrecognizable to the human eye. Apple expects text, images, and videos to appear clearer than ever before. To protect this gorgeous display from any possible damage, Apple now uses an improved aluminosilcate glass that is both oil and scratch resistant. It’s apparently also 30 times stronger than plastic. Existing iPhone Apps will apparently run without any issues at the new resolution, but developers can choose to optimize their existing apps for the iPhone 4. The iPhone 4 is also thin, extremely thin, 9.3 mm to be exact. It’s 24% thinner than the iPhone 3GS making it the “thinnest smartphone ever” according to Steve Jobs. 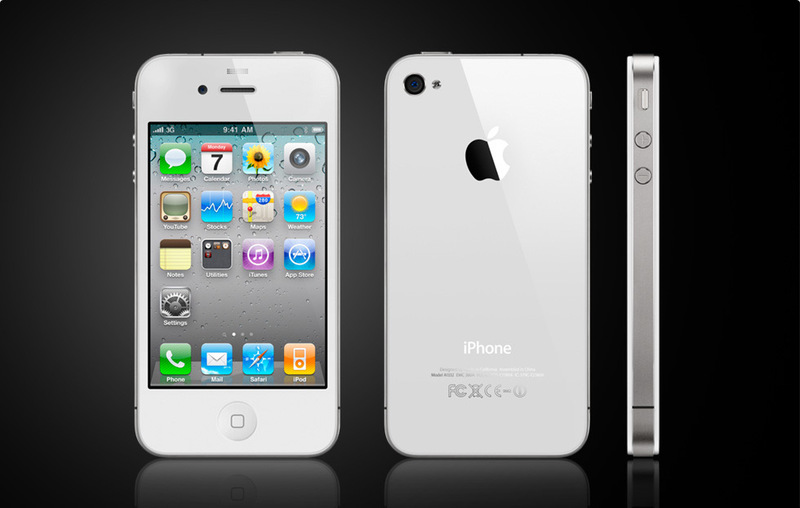 According to Apple’s Press Release, the framework surrounding the iPhone 4 is made of a “stainless steel band made of a custom alloy that is forged to be five times stronger than standard steel.” The phone isn’t only physically stronger, it’s also packed with impressive hardware. Some include Apple’s A4 processor, 32GB of storage (SSD), Quad-band HSDPA (up to 7.2MB/s down), dual microphones for noise cancellation, WiFi 802.11n, GPS, Accelerometer, Proximity Sensor, Compass, and Ambient Light detector. Another new feature is the Gyroscope that offers 3-axis angular velocity for pitch, roll, and yaw. While some components such as the home button, headphone jack, the dock connector, and power/sleep button, are similar to the current iPhone, the new model has a slightly tweaked volume control layout with individual buttons for the up, down, and mute functions. For the most part, it’s an unusual design for Apple because it deviates away from their standard practices, but, as always, it’s a well polished device. While the 3 megapixel camera on the iPhone 3GS was becoming outdated, the iPhone 4 now features a new 5 megapixel autofocus sporting camera. Although it does not have optical zoom, there’s a 5x digital zoom. A backside illuminated sensor and build-in LED flash claim to improve low-light photography. As for video, the iPhone now supports 720p HD recordings. The LED flash can even stay on, and tapping refocuses the camera while recording. The usual sharing features and geo-tagging are included. An extra $5 iMovie app offers the ability to merge different clips, add transitions, use themes, include photos/music, and more. 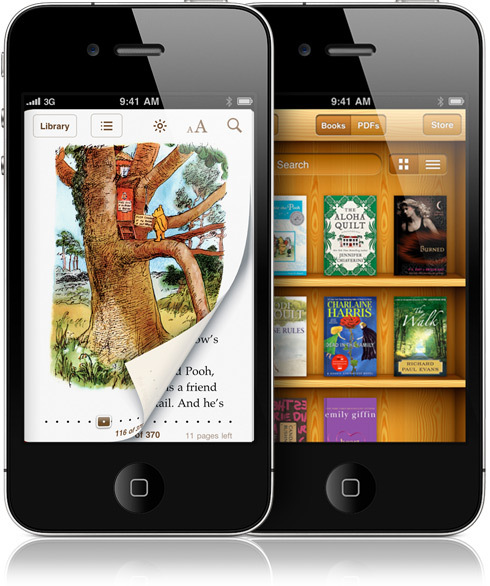 Apple fans knew this was coming, but the iPhone will finally feature the new iBooks app. It’s a free download that enables access to the iBookstore, which offers over 60,000 books. Notes, bookmarks, highlights, and current reading place sync with the iPad and iPod Touch. Although Apple’s anti-Adobe Flash attitude is well-known, they did surprisingly add support for PDFs. In my opinion, this was an excellent move on Apple’s part. It puts the iBook platform in the hands of millions more. Not just iPad users. It especially important for Apple to establish a market share in the eBook industry considering that Amazon and Barns & Noble are doing the same. 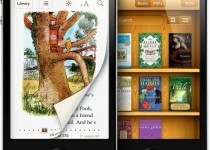 Plus, the iPhone 4’s new high-resolution display will only make reading more enjoyable. The iPhone 3GS was known for its poor battery life. And while new smartphones like the HTC EVO 4G have an even worse run time according to some reviews, the iPhone 4 hopes to change that. The new battery delivers about 7 hours of talk time on 3G, 10 hours of web browsing on WiFi, 10 hours of video playback, and 40 hours of music playback. That’s especially impressive considering the new multitasking iOS, a faster A4 processor, Quadband network, WiFi 802.11n, and a dual microphone. A tear down, which was interestedly shown on stage, made it clear that the battery consumed the most space inside. While reviewers will need to test the new battery claims, Apple has usually exceeded expectations in recent times. White and Black models of the iPhone 4 will be available in the U.S., France, Germany, Japan, and UK on June 24th in both Apple’s and AT&T’s retail and online stores. Pre-orders begin next week on June 15th. The 16GB model will retail for $199 while the 32GB model goes for $299. Apple is also dropping the price of the iPhone 3GS 8GB to just $99. The new iOS becomes available on June 21st through iTunes for existing iPhone and iPod Touch owners. 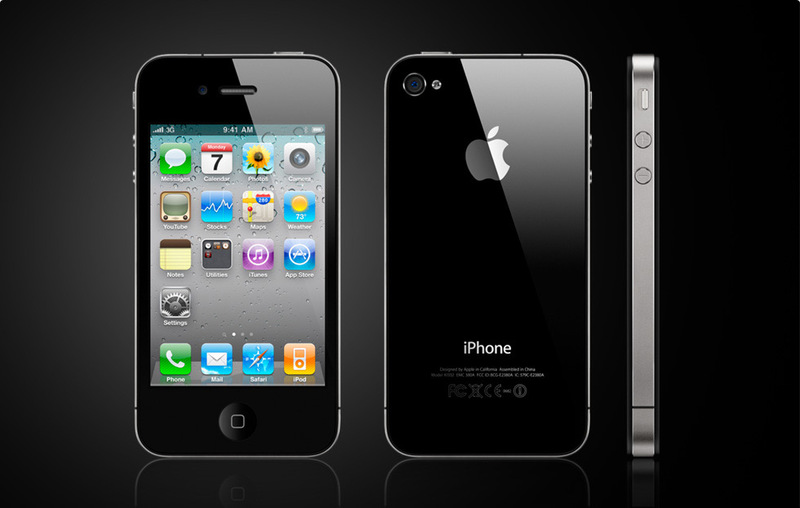 Apple’s iPhone 4 will also reach 88 countries by the end of September. Skatter Tech will try to get a review unit; so stay tuned for a full in-depth review. a review that only lists tech specs and no actual testing is useless. That’s because this isn’t a review! It’s just the news piece we published on the launch day. The full review is on it’s way as soon as we get a unit tomorrow.